With another winter storm system heading our way, medical experts are urging people to be cautious. 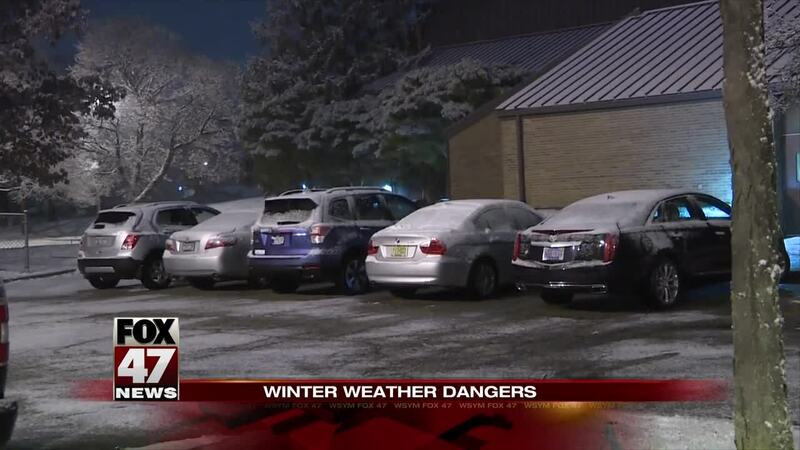 LANSING, Mich. — With another winter storm system heading our way, medical experts are urging people to be cautious. Shoveling heavy snow and walking on icy sidewalks can put you in danger. The constant change from cold to warm temperatures can cause flare-ups for people with asthma, making it even more important they carry a rescue inhaler at all times. With the combination of rain and snow in the forecast, the snow is expected to be extra heavy, making shoveling hazardous. People with high blood pressure or a history of heart disease need to be cautious and take lots of breaks when shoveling. Better yet, let someone else do it, if possible. Even slipping on the ice can put you in the hospital. "The slip and falls are predominantly fractures of the hands and back. Of course, a fall to the back may result in a potential head injury if someone should break their head on a hard surface such as the ice," said Dr. Cherly Elfring from Lansing Urgent Care. Elfring also says heavy snowfalls can be dangerous for small children. Parents need to be aware that children can get stuck in the snow and suffocate. She also says the best defense against the cold is to dress in layers. Make sure fingers and toes are covered and kept warm, as they are usually the first to get frostbitten.